Horncastle CC’s Sunday squad are looking to reclaim top spot as first face second in the Lincoln and District Cricket League Division Two. Horncastle host leaders Hykeham this weekend, knowing that victory would see them return to first place and send out a message to their rivals. At present, Hykeham sit a point above Horncastle, but have played a match more. The action gets underway at 1pm. 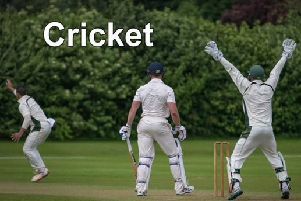 Horncastle CC’s saturday side return to Lincolnshire County Cricket League Fourth Division action this weekend with a tough challenge against the runaway leaders. The team travel to table-topping Brigg Town looking to cause an upset. Horncastle currently sit fourth in the standings, 101 points behind their opponents, who have played one game extra. Brigg are 68 points clear of second-place Haxey. The contest begins at 1.30pm.